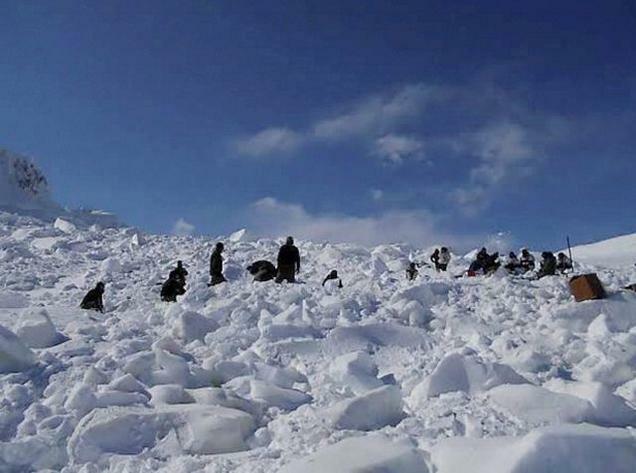 Recently, It was in news due to avalanche in Siachen we have lost Indian army soldiers. But when our Indian army rescue team was searching for them they found a Indian army soldier who was alive who was under 25 feet ice for 6 days. Have a look to the amazing video which was published on twitter regarding the Indian army solider who has been found alive in the siachen. The Siachen Glacier is located in the eastern Karakoram range in the Himalaya Mountains at about northeast of the point where the Line of Control between India and Pakistan ends.We have posted the video below. Have a look ..
An Army Jawan Lance Naik Hanamanthappa Koppad was buried Under 25 Feet for Six days after an avalanche hit Siachen Glacier Sonam post, was found alive during rescue operation. He condition was critical, but this is nothing short than a miracle. Hats Off To This Soldier. Lance Naik Hanamanthappa Koppad is a resident of Betadur Village, Dharwad District in Karnataka. “In the rescue operations, Lance Naik Hanamanthappa Koppad (resident of Betadur, Dharwad district of Karnataka) has been found alive. All the other soldiers regrettably are no more with us. The medical condition of L/N Hanamanthappa is critical but all attempts are being made to evacuate him to the Army Research & Referral Hospital (in New Delhi) on Tuesday morning. We hope the miracle continues. Pray with us,” said Northern Army Command chief Lt-General D S Hooda as per report from timesofindia.com.